Falun Gong is a meditation practice based on ancient Chinese traditions of health and self-improvement, and the principles of truthfulness, compassion, and tolerance. 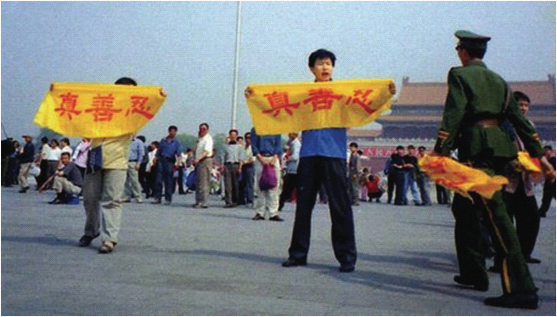 By the end of the 1990s, the government estimated that over 70 million people were practicing Falun Gong, a figure quoted by several Western news media. 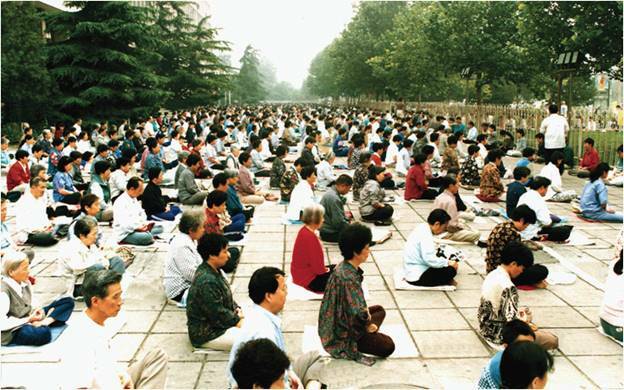 Falun Gong practitioners meditate in Muxidi, Beijing before the persecution began in 1999. Millions of Falun Gong practitioners from around China traveled to Beijing to appeal to the central government, only to be arrested and tortured. When many were unwilling to disclose their identities to protect their families and friends, they became part of a large anonymous population held captive by the state. More practitioners were rounded up all across China. Those who refused to renounce their faith began to disappear without a trace. “In the U.S., in Europe, you have to be dead first in order to be an organ donor. In China, they make you dead. "Bloody Harvest/The Slaughter: An Update page 408~410 Authors: David Kilgour, Ethan Gutmann, and David Matas, June 22, 2016"